Bright LED Lights, High-Quality Electro-Mechanical Components. From a young age, you have been walking, jumping, and running! Why not take the next step to move from one place to another – hovering! Hoverboards are the next generation of short-range transport solution. Why walk when you can hover! Rapid technological advancements have made hoverboards an affordable and safe option while giving a pleasurable ride. Today, you find hoverboards everywhere – in the streets, in office, at homes, etc., and they have a prolific presence in airports, exhibition halls, golf courts, resorts, etc. Hoverboarding is also picking up as a leisure sports activity recently. The company Osdrich is one of the leading manufacturers of hoverboard and akin to ostrich, the fastest bird, it is dedicated to the rapid developments of products of high quality. It has over six years of experience in serving high-quality products to customers with an international presence, serving the U.S, European, Southeast Asian markets, etc. Osdrich A8 Hoverboard packs loads of features under its hood that is a perfect amalgam of digital technology, industrial design, and high-quality electro-mechanical components. Lots of research studies have gone into the development of the board design which makes it more approachable for novices and more stable for experienced users. It blends multiple features, such as a safe battery, high-quality tires, seamlessly delivering remarkable performance with a compact and attractive design. The product boasts an integrated design with UL2272 certified aluminum alloy body frame and pushes the limits of durability. It is semi-submersible and made of IP56 certified waterproof design. It has quality certifications from various authorities, such as ROHS, CE all over the world that are a testament to the company’s leadership in high-quality design and robust body construction. Osdrich A8 Hoverboard has set a new benchmark in high-quality rubber tires, which are sturdy and long lasting. It has highly attractive aluminum alloy wheels and evokes an artistic appeal. The product has passed a 159 – point safety test which is the first time in the industry. It has non-slip foot pedals, which aid in balancing during cutting corners. A high-quality polymer material has gone into the process of making fender and body chassis cover, which gives an aesthetic gaze. 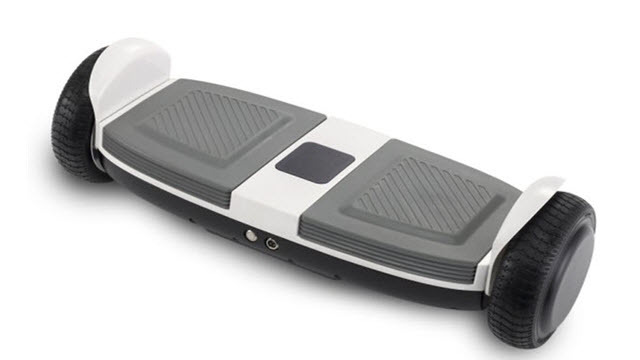 This self-balancing board is 100% guaranteed for safety. This hoverboard redefines connectivity in a new intuitive way. It connects with smartphones by means of a mobile application. The mobile app can also be used to remotely control the hoverboard and adjust the brightness of its LED lights. It has a high-intensity real-time LED indicator to monitor the battery usage, riding speed, charging-discharging cycle, etc. The rider can often optimize the usage by analysing the mobile data. Osdrich A8 Self Balancing Scooter product comes with high-quality Bluetooth speakers, and you can listen to music while on the move. It connects seamlessly to the smartphone and is easy to set up as well. Its GPS technology can help you track the device wherever you are. This hoverboard also furnishes an advanced riding technology such as steering sensitivity and driving force control, and this makes your ride a breeze. It establishes precise control during turnings and is likewise comfortable and safe during manoeuvres. Its gyroscopic technology keeps your body well-balanced in all terrain conditions. Its tires are uniquely designed to be slip resistant, and hence, the rider can board and disembark without fear of falling or stumbling. The tires are built to provide the top-of-the-line performance which facilitates effortless riding on different surfaces namely grass, pavements, dirt, etc. Its powerful 300W dual motors give the best-in-class acceleration and make your ride smooth and enjoyable. It has high torque capacity and can handle slopes of up to 15 degrees with ease. It has a maximum speed of up to 10 kmph, letting you to reach your destination in time without any rush. 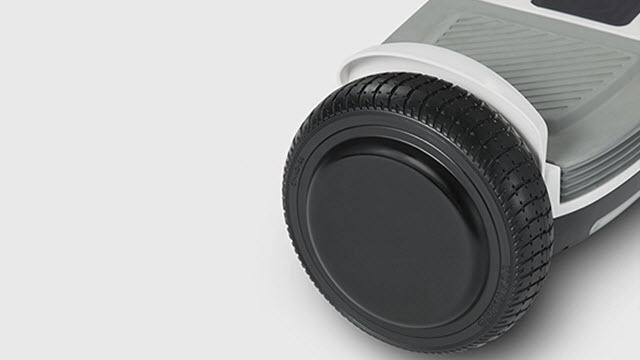 The product hovers efficiently on a wide range of surfaces such as dirt roads, concrete, etc. With an attainable range of 15 km per charge, it is one of the best in its segment, thus keeping the range anxiety at bay. It has a high-quality lithium-ion battery, which recharges itself fully in a record time of 2 hours. Let’s summarise Osdrich A8’s benefits as well as some of the unattended areas. 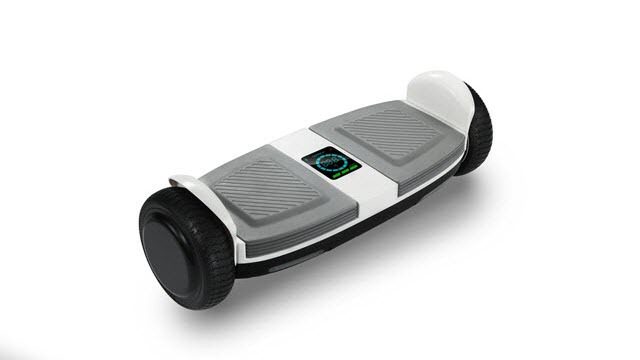 Osdrich A8 Self Balancing Scooter has all the smart features that a modern smart rider would require such as connectivity to smartphones, beautiful LED lights, remote monitoring of the hoverboard, and much more. The product with industry best tires, unique battery design and powerful motors stands out smartly from the competition. It combines the best of both worlds – digital technology with robust electro-mechanical design and matches the customer’s imagination of a great product. This hoverboard is the perfect product to show how smart you are and to showcase your tech enthusiasm to friends. We are content to offer it a 4.6/5 rating.